When the power back door ECU receives a jam signal from the touch sensor while the power back door is operating, the ECU reverses the back door operation and opens the door. 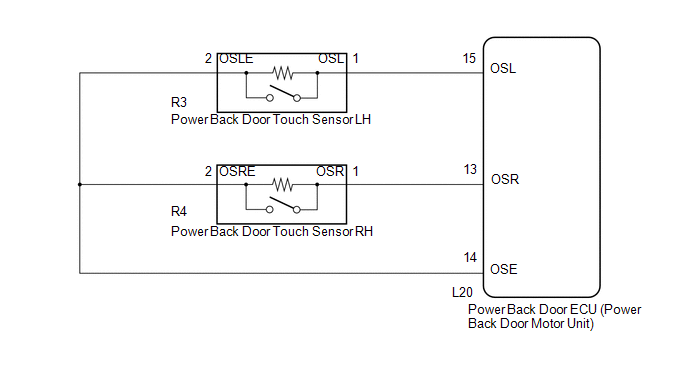 (e) Check the Data List for proper functioning of the power back door touch sensor. (a) Disconnect the R3 power back door touch sensor LH connector. Perform this inspection with the touch sensor installed on the vehicle. 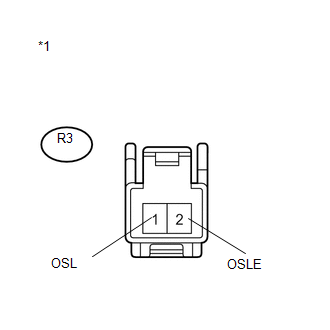 (a) Remove the power back door touch sensor LH (See page ). 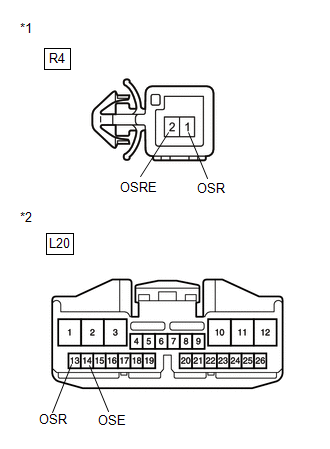 (a) Disconnect the R3 power back door touch sensor LH connector and L20 power back door ECU connector. (a) Disconnect the R4 power back door touch sensor RH connector. (a) Remove the power back door touch sensor RH (See page ). (a) Disconnect the R4 power back door touch sensor RH connector and L20 power back door ECU connector.